What Does the Number 50,000 Look Like? Eli and the NetSquared Community Can Show You! 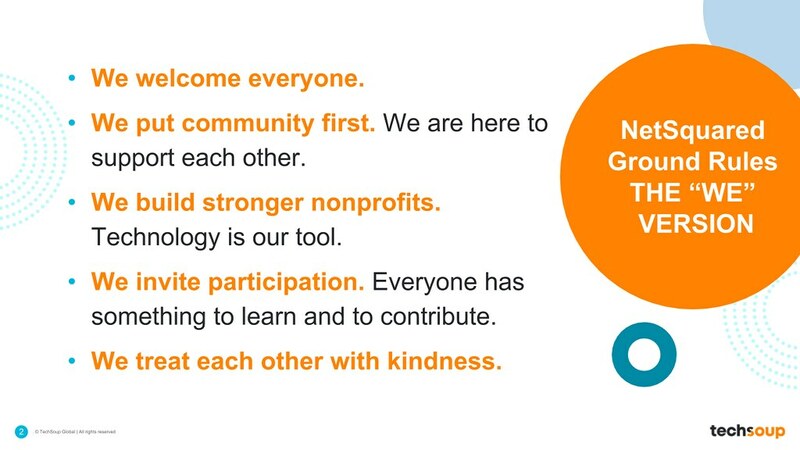 TechSoup Canada’s Tierney Smith on why they invest in NetSquared’s Tech4Good meetups. And why other TechSoup Partners should consider becoming hosts too. Join @TechSoup, @UNFoundation, @Climasphere, @GlobalDaily, @plus_socialgood and the #EarthToParis coalition for the October #NPTechChat Twitter chat on innovative solutions to help mitigate and stop climate change. If you’re a regular reader of this blog you’ve probably encountered one of my twice-monthly roundups of nonprofit tech meetups. But perhaps you’re leary about attending an event because you’re not quite sure what it will be like. Describing NetSquared events is difficult, because each one focuses on a different topic and has a unique flavor set by the organizing team. Instead of words let me try a few pictures that will illustrate our community. NOTE: Google has shut the Moderator service down, but you can see a copy of the prioritized values list from Spring 2015 here. Who are NetSquared’s members? Why do they attend? What topics do they want? For the longest time we didn’t have an answer to these questions, which was frustrating. So last year we surveyed our event participants in Canada and the USA and learned that our members had needs surprisingly similar to the core TechSoup audience. How Are the NetSquared Organizers Doing? Every year we survey the NetSquared organizers to take the temperature of the community and get a sense of how we can serve them better. We want to identify what is working and what could be improved. This year 58 NetSquared organizers completed the survey (vs. 33 last year). Last year’s baseline results will give the current results comparative context.